At PubCon in Las Vegas in October 2012, the head of Google’s Webspam Team, Matt Cutts, announced a new tool called the “Disavow Link Tool.” This is yet another tool in Google’s arsenal for their war or spammy links, which was launched several months ago, beginning with the first of the Penguin updates. These updates are meant to help Google combat “black hat” and other unnatural backlinking strategies. When Penguin was first launched last April, many websites were negatively affected due to the spammy links they had accumulated over the years. However, webmasters only had one way to get these spammy links removed. Simply, they had to contact the webmasters that controlled the website that was directing the bad links to their site. However, this process is extremely inefficient, time consuming and unreliable because it is prone to poor follow through and affirmative responses on a webmaster to webmaster basis. The Disavow Tool provides webmasters with full control, allowing them to remove their spammy backlinks, even if all direct contact fails. The Disavow Link Tool is a valuable resource that can be used to continually improve your link profile because it allows you to remove bad links, while you simultaneously create and promote strong content to earn new quality links. Penguin went live on April 24, 2012 with the main objective of penalizing those who use deceptive and manipulative tactics. Frustrated webmasters and SEOs, especially those who have practiced these poor strategies simply because “they worked” and the inexperienced ones who made errors due to naiveté, say that Google wants to penalize every site until only a handful remain in search results. However, nothing could be further from the truth. Google’s algorithm updates are meant to make the web a better place and are a decisive push toward fair play when it comes to SEO. Google has estimated that approximately 3% of English queries have been impacted by their Penguin update, demonstrating that the repercussions of Penguin were not accidental. Google is clearly serious about combating the spammy SEO tactics and strategies that have been practiced for so long. The term “spammy” refers not only to your content or web design but, due to the Penguin update, can also apply to your backlink profile. Your backlink profile can reveal your faulty SEO strategy to Google. Because backlinks are an important signal that Google uses in their algorithms, spammy and unnatural links are a primary target of the Penguin updates. Google has always advised and warned webmasters and SEOs about the dangers of using these unnatural tactics. It is the arrival of the latest Google technology that has made Penguin a reality. Buying Links: More often than not, the person you paid was linking to you from a low-quality, spam site. Creating Microsites that Pointed Links Toward Your Main Page: A microsite is a website with no purpose other than pointing links to your main site. People often believed that it was the quantity, not the quality of links, that sent strong signals to Google, and so created thousands of these microsites to indicate that their site was quality because it had all these links. Other Tactics: Often, links to a website were placed on pages that contained thousands of links, whose only purpose was to supply those links. 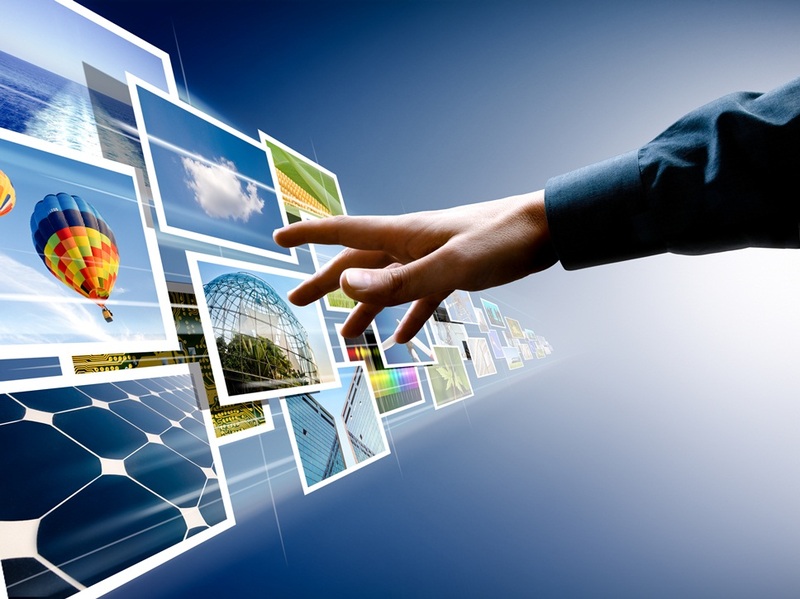 This includes article directories and article sites that are sometimes referred to as content farms. Before you begin arbitrarily disavowing links, it is imperative that you are aware of exactly which links you are disavowing and why you are doing so. There are a couple ways to accomplish this. Look at your recent links. Google allows you to view your links and sort them by the date they were discovered. Check Google Warnings. Google is working on an unnatural link warning alert to show you the unnatural links so that you know which links are considered spammy so that you can disavow them. Who Should Not Use This Tool? The most important thing to realize is that most people do NOT need to use this tool. If you have not been using outdated and/or aggressive SEO tactics, building your link profile in an unnatural, entirely random way, or hiring a company that did these things for you, you will not need to use this tool. The Disavow Link Tools is only for advanced users who have been having trouble with their link profile or who have received notifications from Google regarding their link profile. 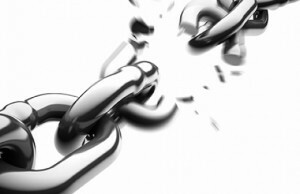 How Does the Disavow Link Tool Work? It’s actually pretty simple. The first version of the user interface that Google launched allows you to upload a file with the links you would like to ignore. Let’s say that your website it www.optimum7.com and you want to disavow some links. All you have to do is make a text file containing the URLs of the links that are spammy and upload that file. The format is one URL per line. Use the # symbol to indicate that you are making a comment. This is especially useful when making a note of previous actions taken. Use full URLs on their own line to block a specific page. You can also download a previously uploaded file to edit it and add any bad, new links you want to ignore. Then re-upload the file. There is only a single text file for multiple domains. Once you upload the file containing the links you want ignored, it should take Google around a week to disavow them. This is because it must be re-crawled and re-indexed by Google’s spiders. This means that you should not expect to see changes on your link profile for at least a week, possibly longer. Ultimately, how long it takes will depend on how problematic your link profile is. Keep this in mind when adding links to your text file. If you add the wrong link, it must be crawled and indexed to be added, and then it must go through the same process to be removed, which will take quite some time. This new tool makes it easier for Google to identify spammy sites based on their link profiles. It would now be possible for Google to release a list of the top one hundred sites that have been disavowed by webmasters. I mean, if thousands of sites ask Google to disavow links from a certain domain, wouldn’t that indicate that the site was no good? Shouldn’t Google refuse to trust, and therefore ignore all links from that site, like they do for Updowner.com, for instance? If the majority of webmasters disavow a certain webpage, it would indicate that the domain in question is not trustworthy, which should ultimately cost it its authority. For example, if the grocery store you frequented was suddenly boycotted by thousands of people who have been shopping there for years, wouldn’t that be a strong indicator that something suspicious was happening at the store? Its popularity and credibility would be affected. On the other side of that coin, wouldn’t it then also be possible for me to use that to my advantage and attempt to hurt my competitor by disavowing his entire domain from all of my sites? This practice would be considered negative SEO. Now, it is not only a matter of controlling the links that point to your site, but also the links that your site points toward because now it is possible for you domain to be disavowed as well. It will no longer suffice to haphazardly engage in link building. Instead, you must craft a strategy using informational, relevant, and original content to increase your authority. Be professional and always play fair. 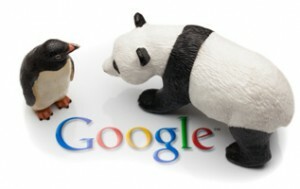 Google is watching, using Penguins and Pandas to help them make the web a better place to search. If you need help recovering from the Penguin update, we can help! Contact us today for a free, no obligation consultation.